Lizia reincarnated into a mob character in an otome game world. With memories of her past life, she’s decided to live a happy life and give back to her parents, but she ended up getting engaged to the Prince Route’s ultimate villain, Bernhardt. This is the struggle of Lizia as she somehow aims for a peaceful life. Another otome game for a reincarnated villainess. It was an okay read. But somehow, it has a feeling of just brushing through the pages without much depth. The MC, as an adult inside, is childish in a way that she does not think like an adult. And her knowing some events, which she could use to protect her love, just let it be. Let's say, MC is just the kind of person that's too undecided to act on something and pretty much, there is no great feeling reading her parts. Tbh, This may be one of my favourite novels because the MC is so freakin relatable. Her thought process is so freakin hilarious and I akways think how can the female leads in novelsbe always so freakin serious, ambitious and genius. Well this MC shows how a normal girl's thought process should be. She doesn't scheme anything, doesn't interfere inpolitics, isn't developing some new policies or products to get money. She knows she's plain. She describes her actions in a really funny way like we do in our daily life... more>> and internet chats. She gets scared easily though but got the guts to be aggressive when necessary. The thing that stood out the most and made me fall in love with this story is the MC's personality and her relationship with the ML. These two attributes managed to avoid a lot of (frustrating) tropes often used in other 'reincarnated into otome game' novels. The MC lives in the present, she doesn't treat the world as a game or the people around her as strangers. Despite having memories of her past life, that doesn't detract her from being Lizia Rietberg, the daughter of a Marquis as well as an inhabitant of the current world. She's not OP, wise beyond her age, extremely dense or recklessly tries to befriend/ save everyone. She knows when to doubt people and doesn't needlessly poke her nose where it doesn't belong. Rather than being level-headed, the MC is just like any other teenage girl who doesn't like to get into troublesome situation. The MC and the ML are openly in love with each other. Their interactions are extremely cute without it being too cheesy. They care deeply for one another. Despite not wanting to get into troublesome situation, the MC doesn't hesitate to get offensive/ defensive when others try to disturb hers and ML's relationship. A decent plot with likable lead characters, this is definitely a novel that's worth being given a try! I machine translated this, and I could tell you this is a gem!!! I've read all of the otome game genre, no matter if they were reincarnated as the heroine, villain, mob character, or the brother / fiance prince. I've read the bad and the good, the super long ones that you get tired of (imagine being 150 chapters in and still the MC is 5yrs old), literally most of it if not all. There are other otome game stories which has better plot progression and character development, no doubt. What... more>> made this so likable is that there's enough substance to keep the plot going but not too much as if its forced. Its not too deep in the drama but just enough to make me want to finish. Plus the interaction between our MC and the ml, how cute is that!!!! A cute story about a reincarnated mob character who got engaged with the villain and decided to try stop him from from doing bad things. I love this story and I'm so glad it got picked up again. MC and ML are adorkable and must be protected at all cost. This is a good story. Surprisingly so ! Certainly, it doesn't bring anything new to the table, but it's very good for its genre. The writing - rather, the translation - is good, the characters are very likeable (except those who aren't) and the plot is steady. But the main good point is the main girl Lizia. Though an annoyingly high number of these novels will have the FL treating the world like it has a predetermined scenario that has to be followed to some extent, and hold on to that... more>> idea for way too long, Lizia recognizes that the world she lives in, and the people in it, are all real. Most importantly, she realizes that fairly quickly. The romance is cute too. The interactions between the main couple don't feel too forced at all, and that's really refreshing. The heavier scenes are properly serious, and I felt some tension at several times. As far as this genre goes, this story is a fun and cute read. Despite their name, the current translator is doing a great job. I look forward to each chapter and enjoy the characters immensely. 😁😁😁😁 Definitely worth reading! 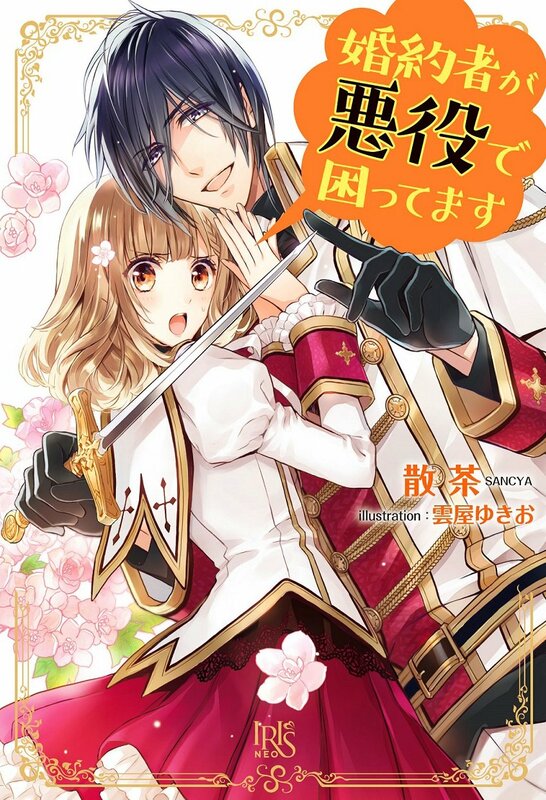 As far as otome game reincarnation novels (or even romance novels in general) go it's pretty great. The only complaint I really have is how short it is honestly. It's got most of the usual aspects for this genre, but I really love the MC's personality. She mentions befriending someone in dance class when they were trying to step on each other's toes, and she and the ML pass peas back and forth from their plates, since he hates eating them. Very cute. Sometimes the annoyingly-dense MC cliche surfaces, but so far still very enjoyable. I love this novel! I love the way it depicts every characters' development without too much bs and oh god, interaction between MC and ML is probably one of the best here. (Update: Chapter 20. Yep, love makes you do strange things. Punch a guy for looking at your girl, break some guys' arm for hurting your girl. Interrogating and Torturing a fellow with your loved one for trying to kill you. Yerp, love makes you do strange things. Grammar is fairly well done with the new translator (s), no real problems, just a bit of work on word flow, but I myself couldn't readily think of a way to improve it other than changing the vocabulary a bit (which wouldn't be enough on its own). The writing style of the author is fairly good, not the best I've seen but the pacing is nice and neutral, though there could be a few more details and the dialogue could be done with a bit more finesse. The story is fairly average, Otome Game with reincarnation, though the author does change a few things and I'm glad for the bit of originality that is being added. Could still use a bit of a flair, or something to distinguish that this isn't the same old Otome Game copypasta. Overall, since I really enjoy this Genre (well, almost any genre really) I am looking forward to reading more of this series. Wish I could change the Stars to a 4. First, the grammar is okay, it just needs a bit of work. The way it is worded is fairly confusing making it difficult to keep track of whats going on with sudden shifts. The writing can't be judged at the moment due to translation difficulties. The story is okay, I'd like to know what will happen, but I can' really keep reading this as it feels like someone took a story and shifted portions of it around to purposely make it confusing. The MC was 35 years old but acts childish the moment he transmigrated and she's super naive and annoying. Her character is really unrealistic. There's nothing special in this novel. Okay bye.